Here is a case where consistency will really help a cause. Since her smash debut, Sheryl Crow was a chart staple with her Roots Rock/Pop blend for a solid decade after. She could appeal to the mainstream, she had the respect of the Rock crowd, and she had the look and sound of a feminist all while catching male attention. Crow was a certifiable rock star that could help the Rock and Roll Hall of Fame try to right the gender equity gap that currently exists in Cleveland. Right or wrong this is a factor that could potentially help Sheryl Crow more than any other female. 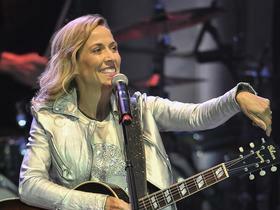 Should Sheryl Crow be in the Hall of Fame? 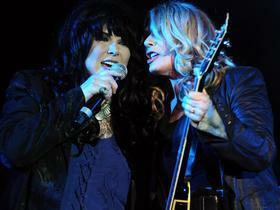 Buy your Tickets to see Heart with Sheryl Crow and Elle King at Xfinity Center in Mansfield, MA HERE for as little as $64! 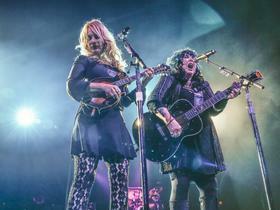 Buy your Tickets to see Heart with Sheryl Crow and Elle King at Xfinity Theatre in Hartford, CT HERE for as little as $37! Buy your Tickets to see Heart with Sheryl Crow and Lucie Silvas at Saratoga Performing Arts Center in Saratoga Springs, NY HERE for as little as $39! Buy your Tickets to see Heart with Sheryl Crow and Elle King at Bank of New Hampshire Pavilion in Gilford, NH HERE for as little as $44!